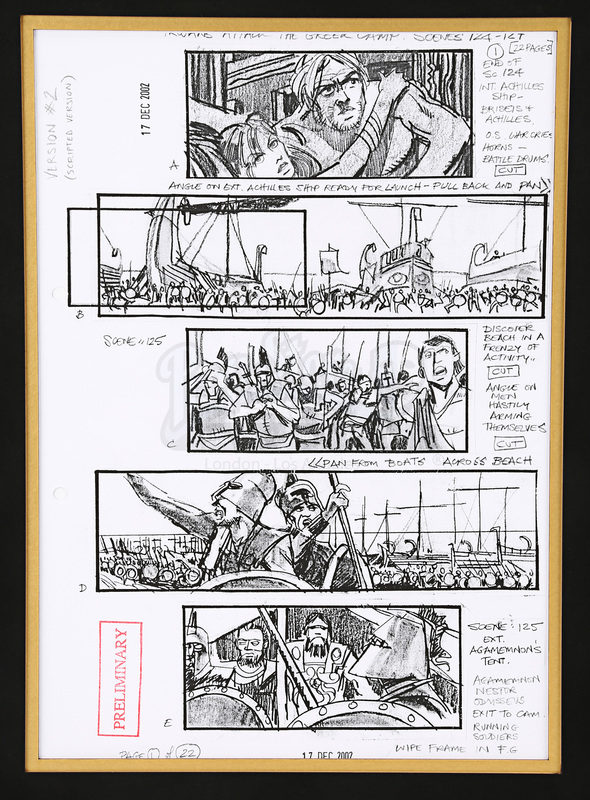 An original production-used storyboard from the production of Wolfgang PetersenÍs 2004 adaptation of HomerÍs great epic Troy. 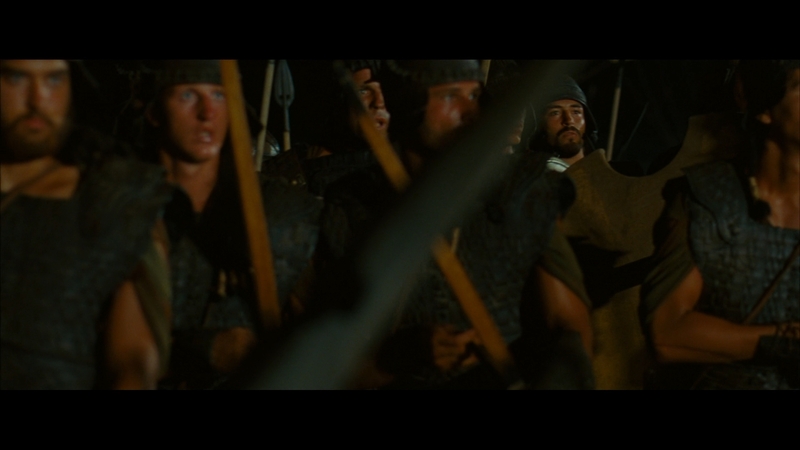 After falling for the beautiful Helen (Diane Kruger), Trojan prince Paris (Orlando Bloom) smuggles her aboard the ship of his brother, Hector (Eric Bana) to take her to Troy. 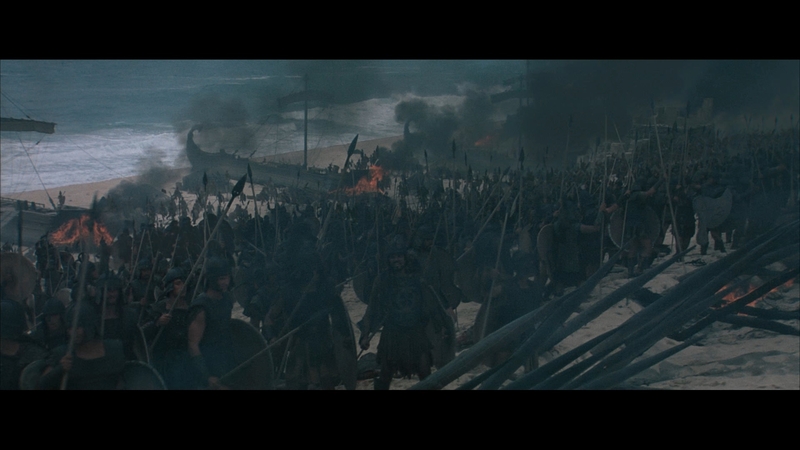 Seeking revenge, the Greek armies led by Agamemnon (Brian Cox) and the legendary warrior Achilles (Brad Pitt) set sail for Troy, where one of historyÍs greatest wars will be waged. This storyboard, stamped ïPreliminaryÍ, shows the scene in which the Trojans plan a sneak attack on the Greek army and ships on the beach, while they are sleeping. As this was a preliminary storyboard the scene is not shot exactly as drawn, but is fairly close. The storyboard has been hole-punched, indicating that it was part of a larger collection used during the production. There is a handwritten note at the bottom stating that this is page 1 of 22. 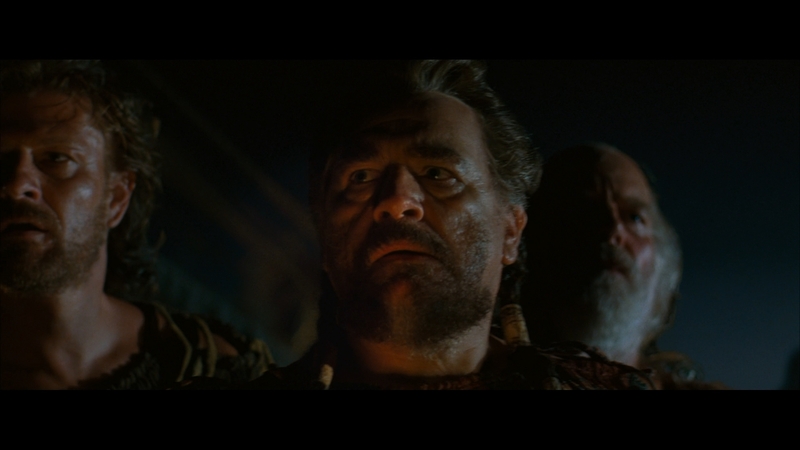 It is dated 17th December 2002 and gives an insiderÍs look into the creation of this scene. Each drawing has a little description next to it. 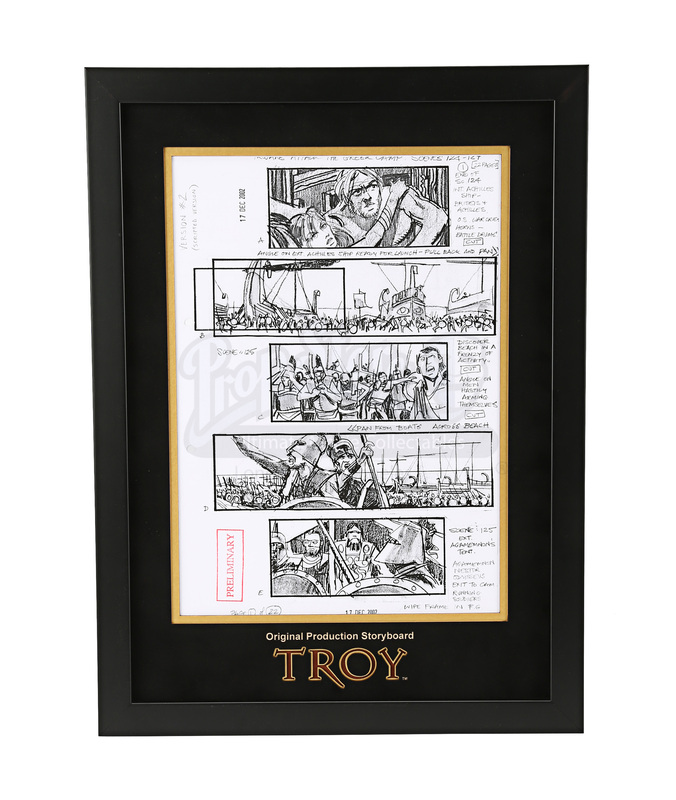 The page comes beautifully presented in a custom-built frame with laser cut mount board featuring the movie title and remains in excellent condition.